The SilverFast SE Plus 8 Scanner Software from LaserSoft Imaging helps you get high-quality captures from your Epson Perfection V33 scanner. As it is optimized for your particular model, you can rest assured that you get the most out of your scanning hardware. SilverFast detects the originals to scan and aligns them at a right angle automatically. The progress of processing is always visible above the preview window, and the WorkflowPilot ensures that you use all the tools in the correct order. 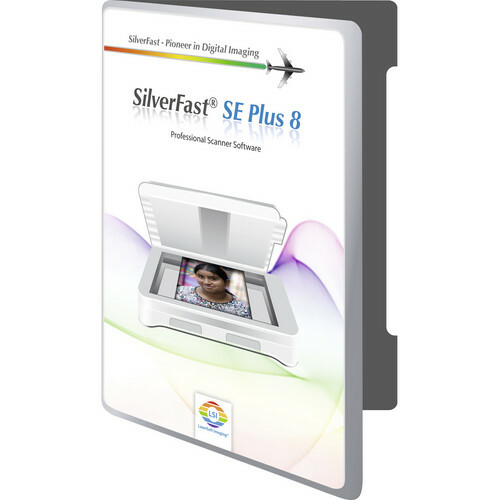 The SilverFast SE Plus 8 scanner software contains the full functionality of SilverFast SE 8. Some additional and very valuable features make it easier to scan and optimize the image quality. The patented Multi-Exposure, for example, increases the scanner's Dynamic Range, removes image noise and captures more details especially in dark areas of the image.